We are an independent family run company established in 1983, offering a professional yet personal service. Our team of fully trained engineers provide help when needed 365 days a year. All of our work is carried out by own CSCS Accredited Engineers who have had a DBS security screening and also who hold electrical qualifications (17th edition). 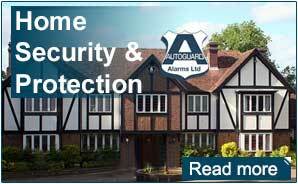 Here at Autoguard Alarms, we are experts in business and home security. Our services include burglar alarms, CCTV systems and installations, access control and fire safety systems. Alongside this, we also offer the installation and maintenance of all alarm systems for both commercial and domestic properties. Our services are available throughout the West Midlands and surrounding areas. If you are local to these areas, and you need an alarm installed contact us today on 01384 374 863. Our knowledge of alarms and security systems is second to none and our innovative solutions for protecting your home or business is backed by our experience which we have developed since 1983. We have been installing alarms and security systems in Stourbridge and the surrounding areas for well over 40 years making us one of the leading choices in our Industry. Working to the highest standards our Engineers are Qualified to Design, Install, Maintain and Commission all types of security systems. 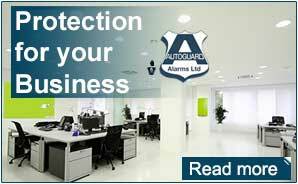 Autoguard Alarms provide security and safety systems throughout Worcestershire and the West Midlands. We provide free quotations for Intruder Alarms, CCTV, Access Control, Lighting Systems and all monitoring services.